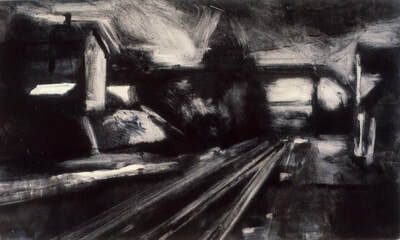 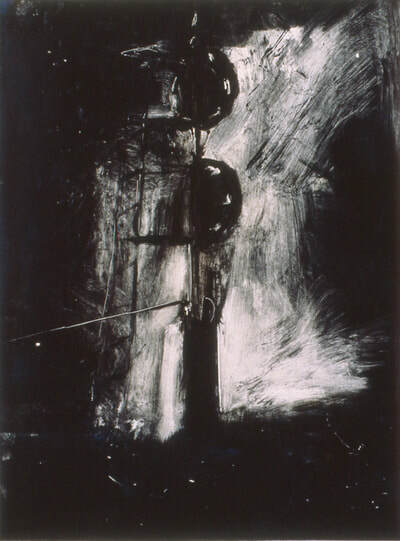 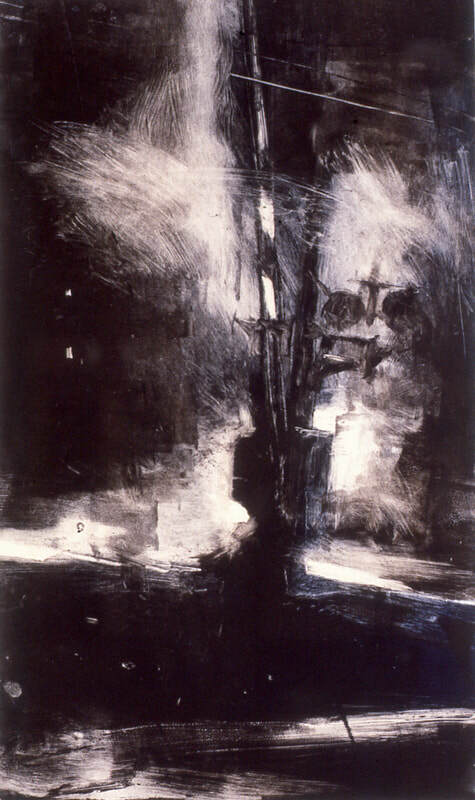 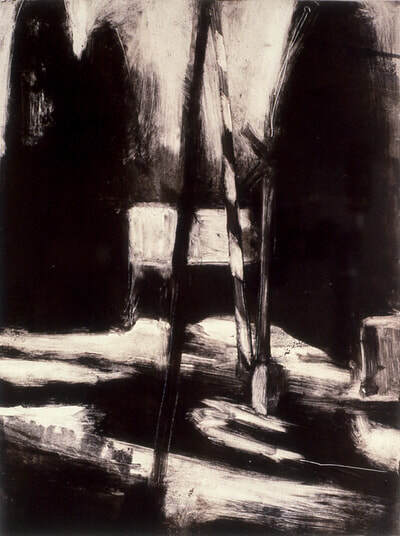 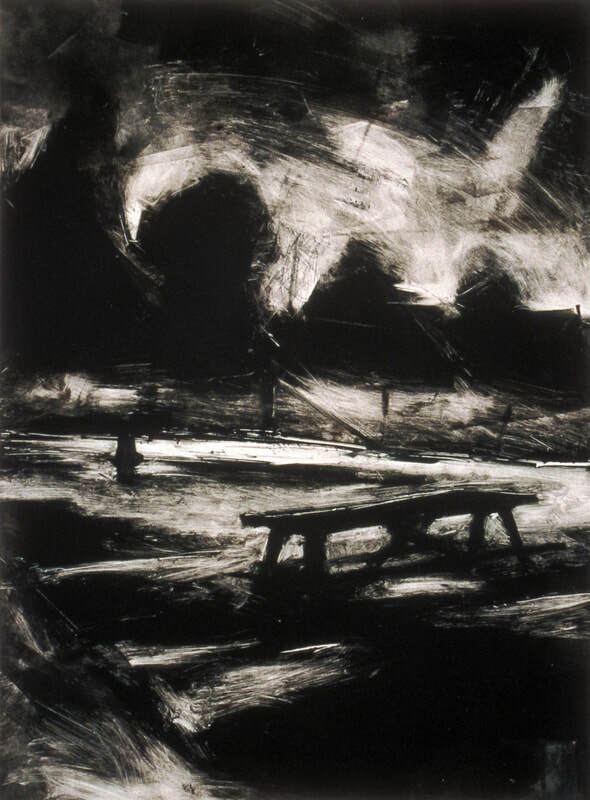 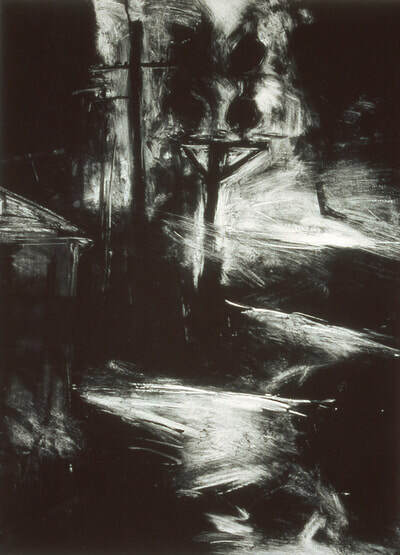 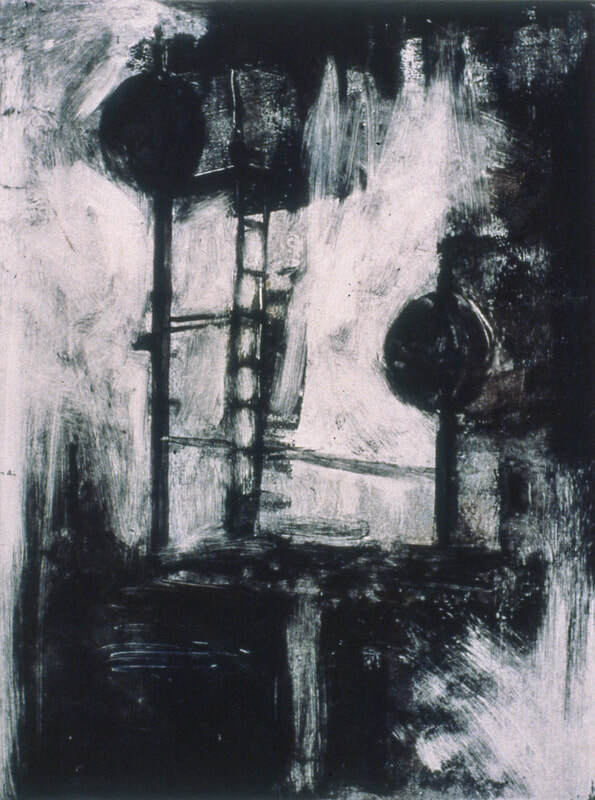 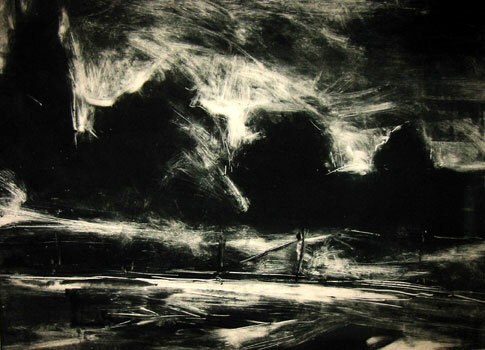 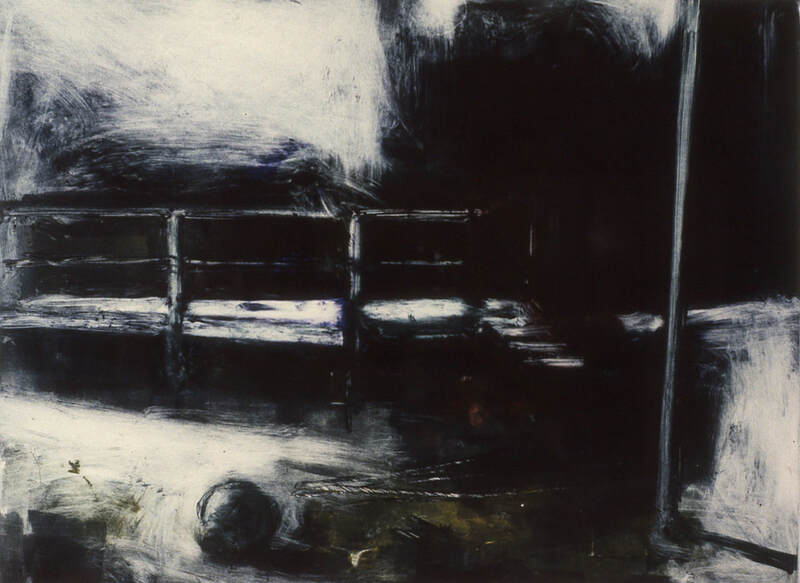 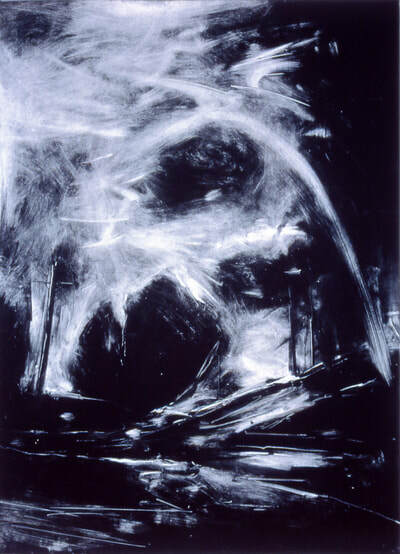 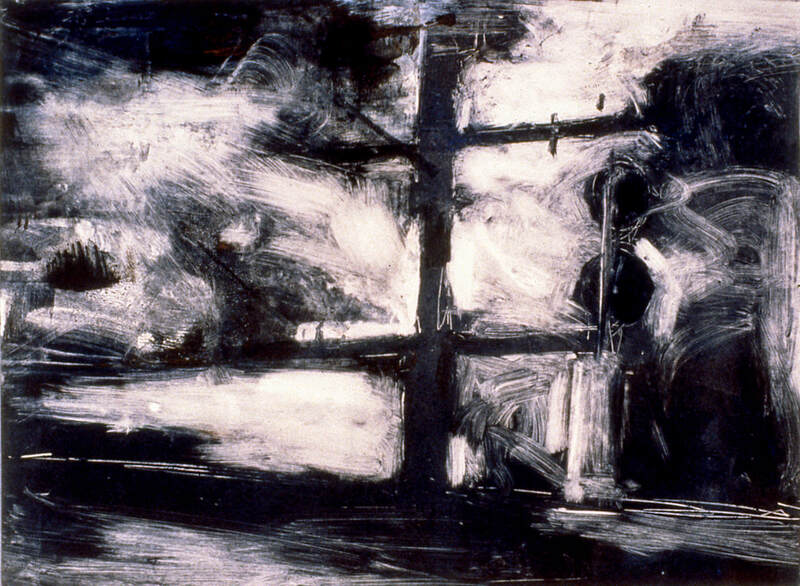 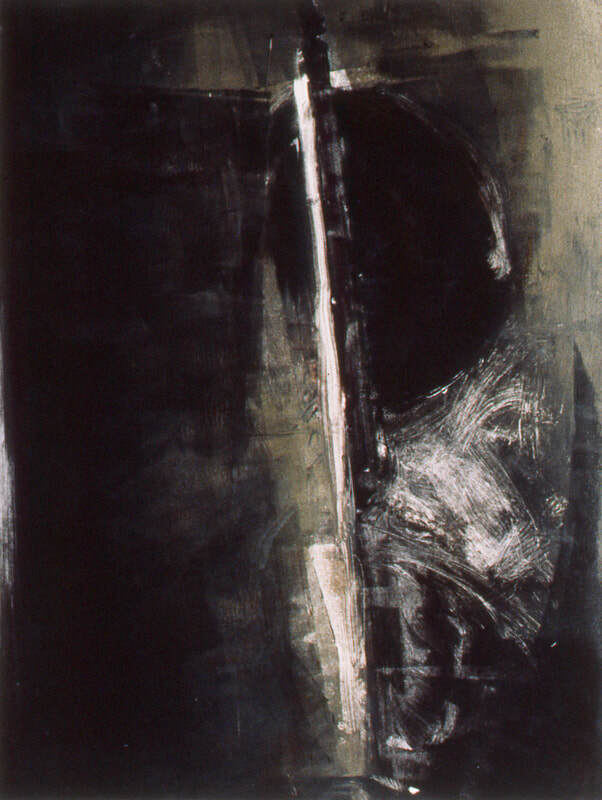 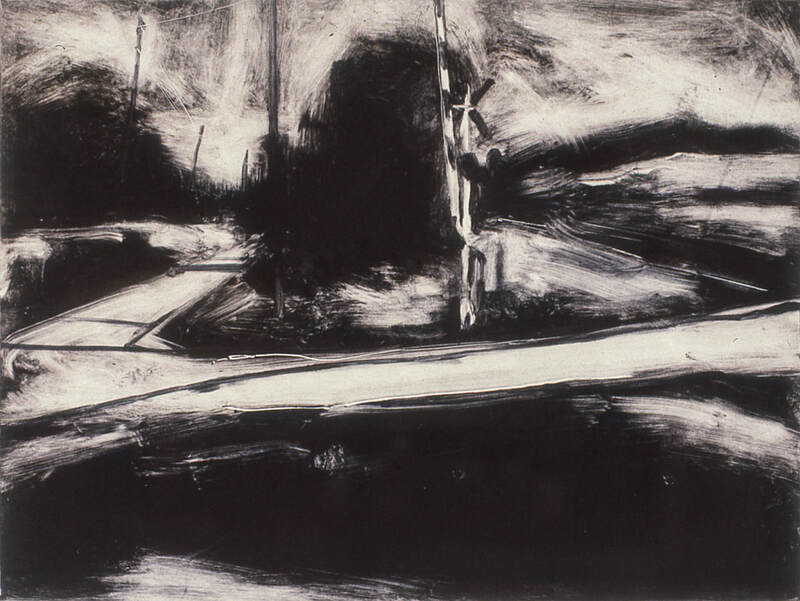 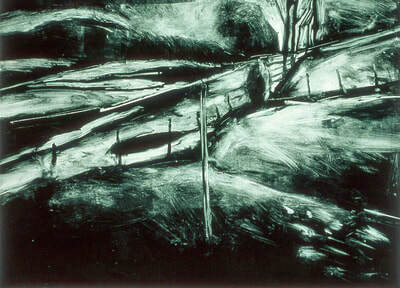 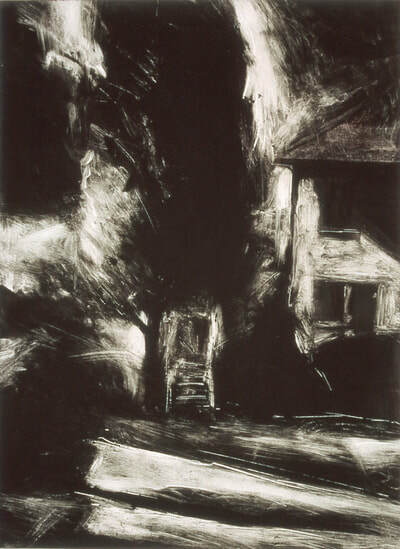 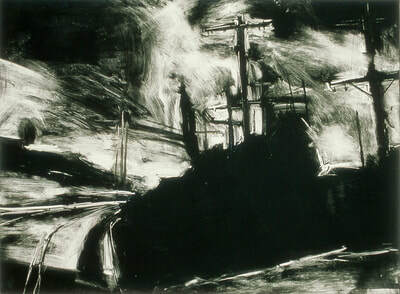 Charles W. Goolsby's monotype possesses the power that loaded imagery, combined with assured technique, can deliver. 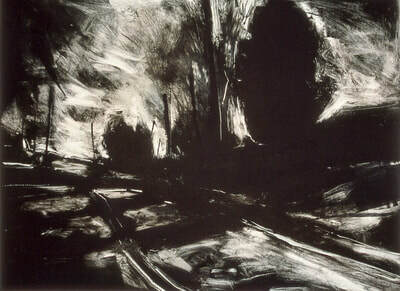 In "Hillman Highway Transubstantiation" he presents a black and white image of a rural highway receding into the distance. 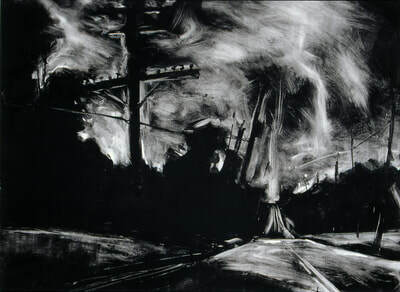 The road appears to be chased by overhead power lines and some oncoming light dramatically illuminates crossed telephone poles. 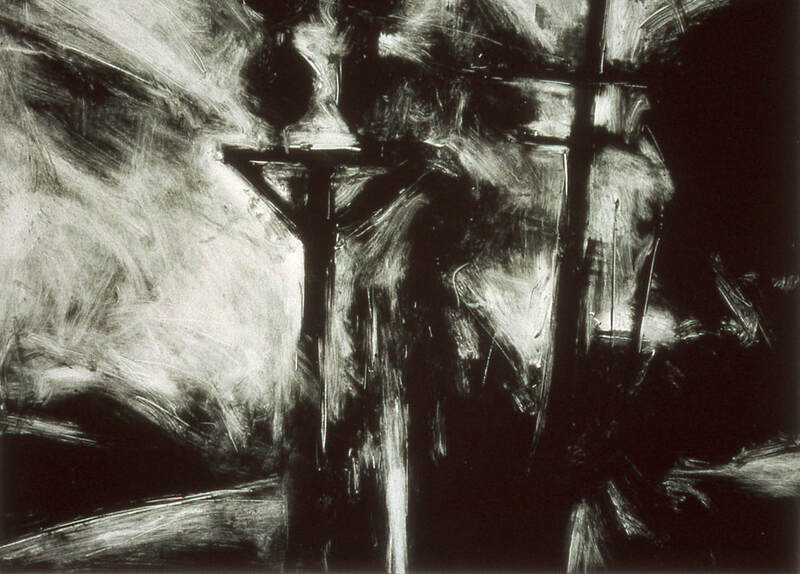 Like Paul's dramatic conversion on the road to Damascus, this is high drama in an unlikely place. No humans occupy the piece, but anyone examining this print feels the force of Goolsby's religiosity and artistry.